this is fantastic! I love your style on this card. Hope you manage to get comp virus sorted and erased with no harm. Bargain on your cleaner! And this card rocks too! Your card rocks too ! Great idea very clever and perfectly made as always. your card is fantastic sylvie! Very nice card. I like the colors and it's is a nice stamp. Another bit of text speak here Sylvie... really cute card! 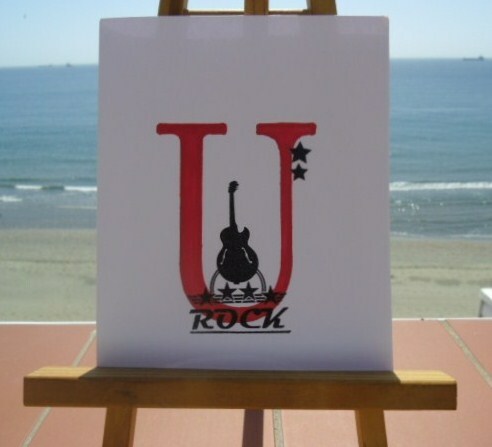 Sylvie...this card "rocks" too! Love it! Great card ;o) Love the colours too. Fabulous idea, I love it! Fabulous card, great idea, love it! Clever card, the colour really pops too. Very clever design, love it. 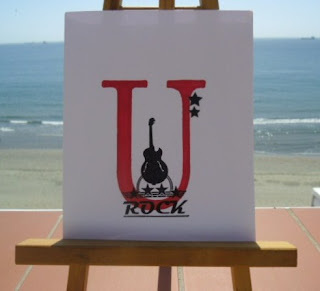 You rock - this is super!! Fab card Sylvie! I love it! Love this striking and contemporary card. Wow what a great card and just that little bit different - love it. It may be text speak but it says it a :-) Love the strong colour - great card!